We know, we know – you don’t want to think about winter, with all the ice, snow, and face-biting wind. But, as drivers, it’s a necessary evil. With temperatures dropping and cold fronts moving in, it’s more and more apparent that winter is on its way. Are you ready? Slow down – At fault accidents are mostly due to rolling down the road way too fast. Driving the speed limit may be legal, but it’s called a limit for a reason. Take as much time as you need. It’s more important that you arrive safely than as fast as possible, no matter what. Keep a safe following distance – Leave plenty of room between your vehicle and the vehicle in front of your truck, and beside your truck, as often as possible. Stay aware of your surroundings, especially on exit ramps, bridges, etc. Don’t travel in a lump – Traffic seems to move in ‘packs’ on the highway. Find a way to linger back, away from all the hubbub, and create as much space around you as possible. Don’t follow the tail lights of the vehicle ahead – When the snow is so heavy that visibility is low, seeing the tail lights of the vehicle ahead means that you’re way too close. Use good, solid judgment — If the weather is so severe that you need to get off the road, do it. Find a place to get off the road safely and wait until conditions are safe. Don’t stop on the shoulder of the road –– Especially in low visibility situations, when driving in winter, and especially in ‘blinding snow.’ Often, other drivers will push through and put your truck at risk of being hit, either in a sideswipe or head on into the rear of your rig. Braking – Try to avoid overusing your foot brake, unless the entire tractor-trailer rig is absolutely straight on the road. A crooked alignment on the road puts you at risk of jackknifing once you touch your brake. Ensure ‘all systems’ are a go — Be absolutely certain before you leave that the defroster and heater are working properly. Check your lights (ESPECIALLY your brake lights), wipers, and mirrors, and clear off/prepare your truck when necessary. A clean truck is a safe truck. Keep fuel tanks topped up, for extra weight over the drive tires, to aid with traction. 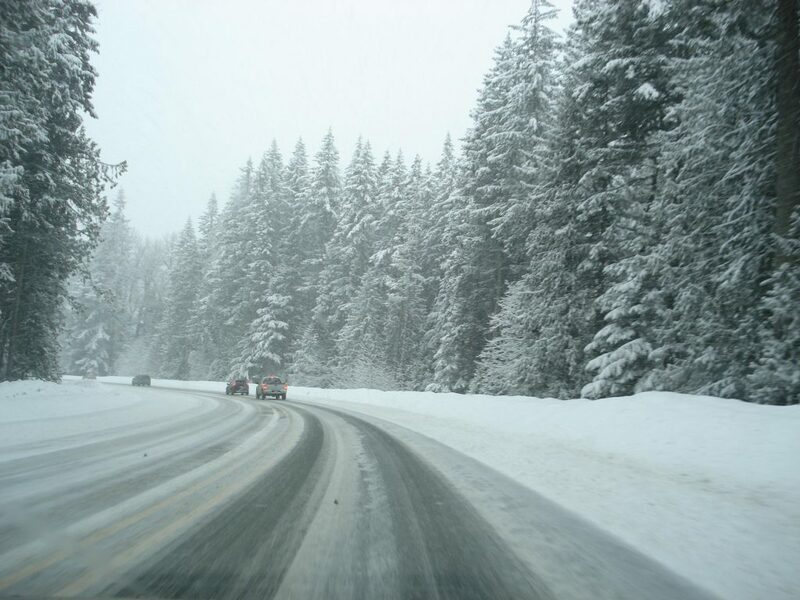 Good quality tires, with the proper tire pressure, are essential for good traction for the best safe winter driving. Use your best judgement — At the end of the day, you’re your own best defense against accidents on a snowy or icy road. Don’t push through unsafe conditions and listen to your intuition! You’ll thank yourself later.